If you’re looking for a charming and historical off-the-beaten-path city to visit in Italy, Matera is it. It may not be the first place that comes to mind when thinking of dreamy Italian holiday spots, but that’s part of its charm. 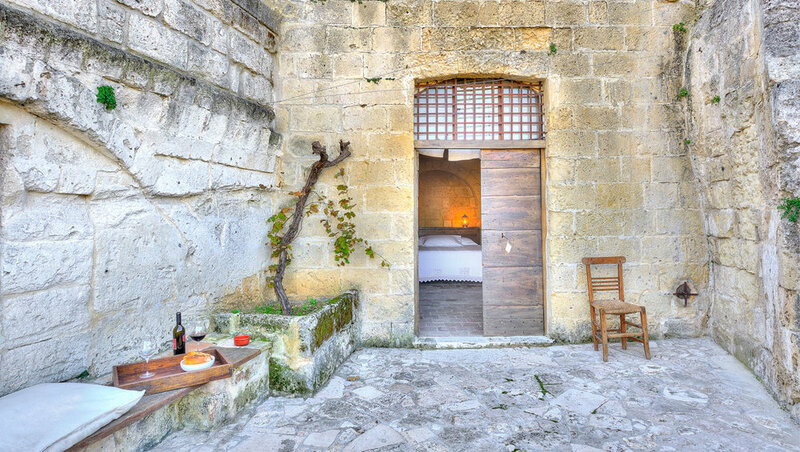 It’s conveniently located just down the road from the ever-popular Puglia region, so if you only have a quick 24 hours to spend exploring before heading back to the coast, Matera is the place to go. It's hard to believe that this city, located in Basilicata in Southern Italy, was once known as 'the shame of Italy'. Locals actually lived in caves dug out of the limestone rock alongside their livestock. It was a place of poverty and unsanitary living conditions. So much so, that during the 1950s the entire population of the old town, the Sassi (Italian for stone), was relocated to more suitable and modern living accommodation. That said, the Sassi has been a world heritage site since 1993 and those abandoned limestone caves have since been revived and are now chic hotels and restaurants, making Matera a hidden gem that you must seek out for history, traditional Southern Italian food, and stellar views. Hollywood has also taken notice of Matera’s beauty because a number of high profile movies have been filmed along these historic lanes in recent years including “Wonder Woman” and the remake of “Ben Hur”. 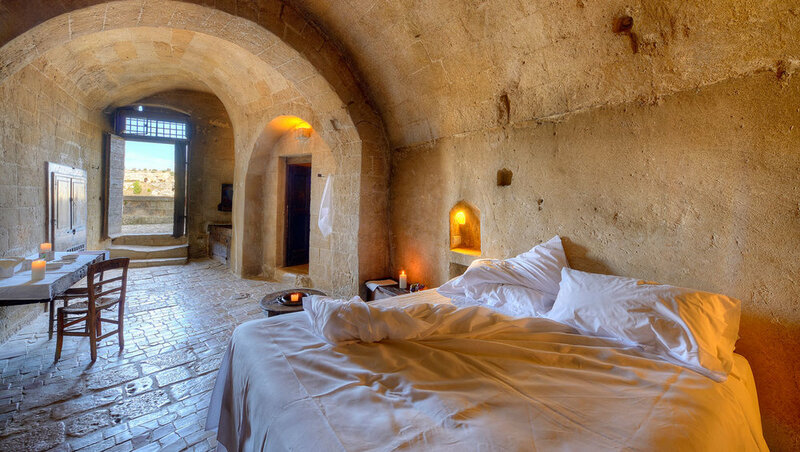 It is compulsory that you stay in a cave, and the super romantic Le Grotte della Civita is a perfect choice. It’s all part of the Matera experience and will make your 24 hours there even more noteworthy and special. For a glamorous dinner, I have to recommend Osteria San Francesco. The food is simple but rooted in the traditions of the region, which is what you want most when travelling (especially in Italy!). You know this is important to me! Try I Vizi Degli Angeli for classic favorites like pistachio and more adventurous options like mandarin and basil or even a pine nut flavour. For late night food, drinks, and live music head to Area 8. You’ll find a good time, but it also has a number of Instagram-worthy photo ops. There are a number of beautiful stone churches in Matera but Convicinio Di Sant' Antonio was my favourite. I should point out that I am not usually one to seek out churches on holiday but this series of four connected rock churches with beautiful frescos took my breath away. It’s just something unique that you won’t find anywhere else. For the best view of the Sassi clinging to the cliffs, take a sunset walk through Parco della Murgia Materana. And don’t forget your camera because you’ll definitely want to record this moment. If you buy anything in Matera, let it be dried red peppers. Okay, I appreciate this might not sound exciting but I challenge you to avoid becoming addicted because they’re so peckish. You will find these dried peppers sprinkled on pasta, potatoes, and eggs in restaurants, but we were just as happy to enjoy them with our Aperol Spritz as a nibble and crisp substitute. Now, get to Matera! I know you’ll fall as much in love with it as I did. Just promise to bring me back some dried red peppers!